In business, rebranding is the process of giving a product or organization a new image to make it more attractive. The Economic Times defines it as “the process of changing the corporate image of an organisation. It is a market strategy of giving a new name, symbol, or change in design for an already established brand. The idea behind rebranding is to create a different identity for a brand, from its competitors, in the market.” This is from a business point of view. Whereas, tourism on its part has slight meaning similarity with the aforementioned point. In tourism, rebranding is all about promotion of tourism potential and attraction areas rebuilding the tarnished images of one country. In other words, it is a process to get or earn something best out of what a country has—tourism potential. This kind of effort would help build the image of a country changing the negative perceptions of people. In this regard, media and other social platforms play a great role in conveying and rebranding a nation. Ethiopia is rich in history. It is also endowed with a number of natural wonders. The country has enjoyed both proud and saddened history. This, of course, applies to all nations in the world. 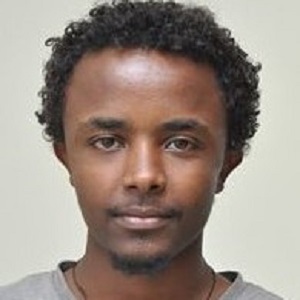 However, the mainstream media in the west project Africa in general and Ethiopia in particular as a place full of terrible and horrible things. They mostly covered bad happenings. This move made a number of tourists afraid of the country because that is where they access information. As everybody knows, the country has experienced such a proud history as well as saddened times. However, the saddened moments are not only the history of the country. Actually, recently, the mainstream media have reported potentials of the country in various sectors. Tourism potentials are among them. Those media broadcasted and published incredible stories and untapped potentials of the country, unlike previous times. 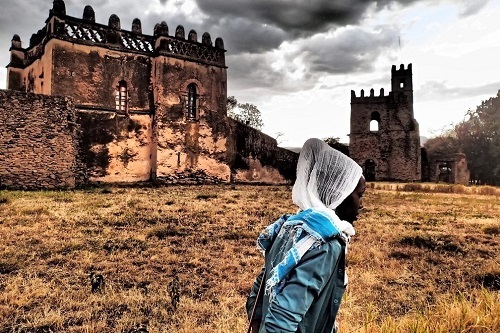 Even though the country has strived its level best to make the best from what it has, Ethiopia’s effort in promoting and marketing its untapped tourism potentials has been weak. Under the leadership of former Prime Minister Hailemariam Desalegn, the National Tourism Council was established aimed at promoting the tourism and hospitality sector to the world. The tourism logo was rebranded as ‘Land of Origins’. Even if the move was too little too late, there is still time to rebrand the country. The council consists of stakeholders from various sectors such as Ethiopian Airlines, Tourism Commission, tour guide organizations, and financial institutions, among others. All these stakeholders have a role in the tourism sector. Thus, the country should rebrand itself using media, missions abroad, well-known celebrities, the entertainment industry, and the like. Thus, we should show the world the reputation we have. To do this, the government and stakeholders need to exploit any opportunities from in and outside the country to rebrand the tarnished image. Ensuring the participation and benefit of the public is important to make the effort sustainable. Moreover, Ethiopia has nine UNESCO world heritage sites which are the first in Africa along with Morocco and South Africa. However, the revenue the country generates from the sector is much less, even than that of countries that have fewer tourism sites. Rebranding the country through tourism and hospitality should be the homework of the government mainly as well as stakeholders. The country is expected to rebrand tourism destination areas promoting to the travellers, bloggers, media, entertainers and the like. Moreover, one thing we should also give due attention is to local tourism. Local tourism in the country is not well established.